 Learn What Pisces May And May Not Do This May! Your thoughts are all homeward bound this May. You may use this opportunity to change a thing or two in your lifestyle and routines. Think about the ways you can brighten up your domestic life in. Don’t doubt the decisions you take now – the universe should endow you with the confidence you need to succeed. Another area you should focus on in May is creative activities. Play games, interact with young people, if you feel artistic, don’t be shy and let your inspiration guide you! Expressing your thoughts and feelings will help you harmonize your position in society and the universe. And remember: you are worth a lot!